Welcome to this charming turn-key home! Located on a quiet tree-lined street in Sunnyvale most desirable neighborhood. 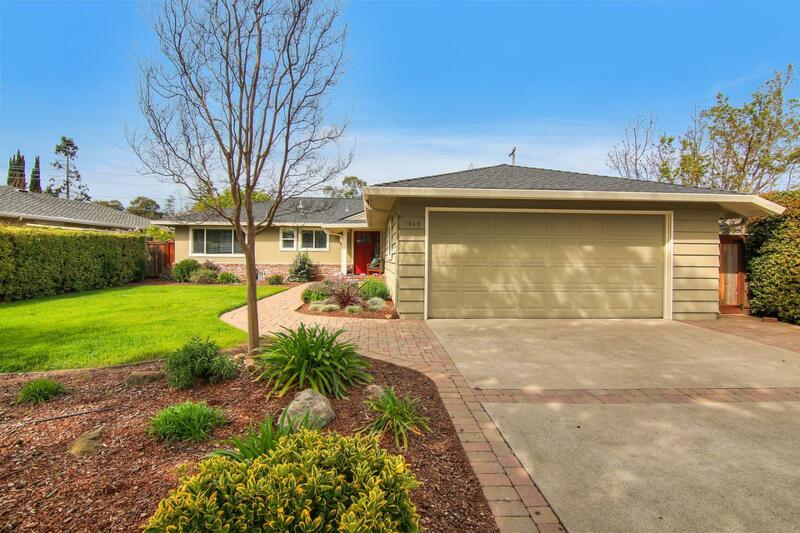 Walking distance to award winning West Valley Elementary, Cupertino Middle & Homestead High. This move-in-ready home offers lovely curb appeal, a large updated chef's kitchen, separate living & family rooms, & beautiful marble/travertine tile work. The spacious kitchen features a large island, stainless steel appliances, slab granite counter tops, trendy lighting and abundant cherrywood cabinetry. An adjacent family room overlooks the beautiful backyard. Fireplaces in both the formal living & family rooms. This home is well-maintained with double-pane windows/sliding doors, crown molding, skylight in formal living room, central A/C and recessed lights. Meticulously maintained front and back yards with pavers. Prime location for commuters, w/ easy access to HW 85, 280, Foothill Exp, Apple, Google & other tech companies. Blocks from Starbucks, Peet's, Trader Joe's, etc.